The Ragamuffin 100 racing yacht Scallywag had a near miss earlier this week (December 13) during the warm-up for the Rolex Sydney Hobart regatta. Eyewitness reports claim that Scallywag was inches away from colliding with the two vessels, with her skipper having to thread the 30.48 metre sailing yacht through a highly congested area. Despite this hair-raising turn of events, Scallywag went on to claim third place in the SOLAS Big Boat Challenge, with Wild Oats XI coming home first for the ninth time in her highly decorated career. 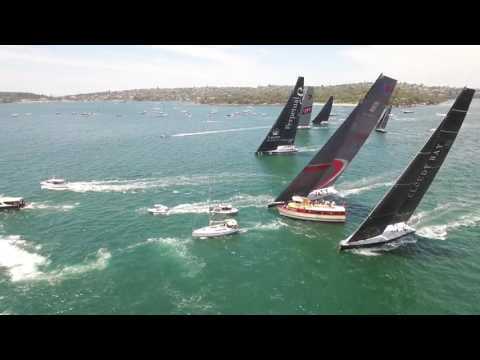 Recently purchased by Seng Huang Lee, Scallywag is competing at the Australian regatta for the third year running. Having finished third in 2014 and second in the 2015 Sydney Hobart Race, the crew will be hoping to go one better and win the top prize this year. A must-see for anyone taking a superyacht charter in Australia, the Rolex Sydney Hobart Race 2016 gets underway on December 26.